I really enjoy the Sweet Sunday Sketch Challenge you can find over at The Sweetest Thing. Karen always is thinking a little outside the box and I really like that. Hope you like my take on the challenge, and a Challenge it was! Why don’t you go over and join me, you have lots of time still! 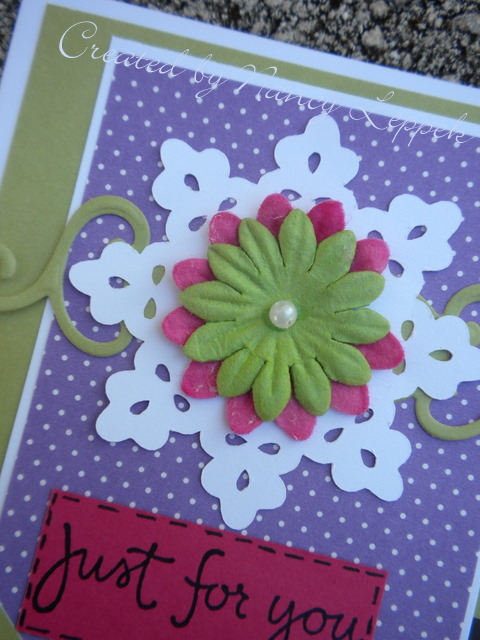 Categories: Cards, challenges | Tags: Card making, Cards, sketch, stamping, sweet sunday | Permalink.